When I was four years old, my father came home with a tiny black case. I didn’t know what was inside but I could tell it was something special. I felt a sudden rush of excitement. Looking back at this moment, I am amazed at how his words have permeated every part of my experience. As a violinist, I am constantly learning, striving to fully master an instrument that is as challenging as it is beautiful. 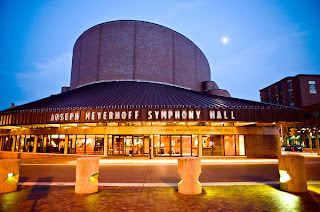 As I reflect on my time with the BSO, I am grateful for the things I have learned. Playing in orchestra full time is like playing football. Before moving to Baltimore, I didn’t think much about the Ravens. However, football is a hot topic everywhere I go– in stores, at church, and even at work! The Ravens play hard. They run up and down the field, take hits, and tackle opposing players. After my first few concerts with the BSO, I felt as though I had been playing in a Ravens game and had been tackled multiple times by a guy named “House!” “I’m so sore!! !’ I thought, “Am I on a concert stage or in a football war zone?” Musicians make it look easy, but playing in orchestra is very demanding physically. Although I have played violin all my life, I have had to condition my body for the physical rigors of playing in orchestra each week. 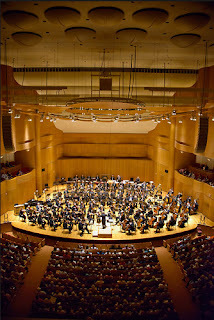 The Ravens are amazing, but there is another team of enduring champs in town: The Baltimore Symphony Orchestra. Playing in an orchestra is completely different than playing as a soloist. Before this concert season, I performed primarily as a soloist. I worked painstakingly to memorize pieces, develop musical nuance, and perfect stage presence. I carried the weight of my performances, working to present renditions that reflected my personality and taste. As orchestral player, I walk onstage with an opposite goal in mind: to avoid sticking out. If I play a solo, it’s a big problem. I’m either playing out of turn or playing differently than everyone else! Orchestral playing requires a heightened awareness of the other players onstage, and, absolute commitment to uniformity at every level: in pitch, bow stroke, vibrato, rhythm, expression, and everything in between. Although these elements play a key role in solo performance, orchestral performance requires skillful synchronization. Orchestras are exceptionally dynamic organizations. 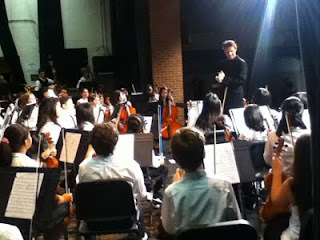 The modern symphony orchestra is one of the most dynamic music organizations in the community. In addition to presenting world-class performances, orchestral organizations can make a positive impact on the community. During my time with the BSO, I have become convinced more than ever that orchestras can not only champion great music, but also unite diverse groups of people. Orchestras can effectively bringing these initiatives to the forefront of music scene. I am excited to be part of this dual mission and have a renewed purpose as a performer who hopes to make a difference in the world. After many years, the violin is still my favorite toy! Whether it is part of my journey to football, learning to play well with others, or discovering of a deeper purpose, it is an integral part of my adventures. I can only imagine the beautiful sounds, wonderful people, and lessons that lie ahead! As I child, I loved playing outside with my friends. The weather in Baton Rouge was warm and sunny most of the year and our backyard was perfect for playing hide-and-seek or simply running around in circles. One weekend, my friends and I decided to play a trust game. Deep breath . . . 1. . . 2 . . . 2 ½ . . . 2 ¾ . . . “Ah man! I need to go to the bathroom and it’s an emergency!” I took off running, leaving the trust game far behind. I learned an important lesson that day: Trust is a matter of life and death. Three months into my time with the BSO, I have settled into my performance schedule and have grown to admire so much about the group. Maestra Alsop and the players display the highest level of technical and artistic mastery, professionalism, and passion, but from my perspective, these factors alone do not define the orchestra’s success. The orchestra really thrives because of trust. Maestra Alsop has full trust, confidence, and respect for the players. She knows that every musician will play the right note at the right time and commit to the inspiration she provides. The players, in turn, trust Maestra Alsop. They have faith in her judgment on musical matters great and small and hold her artistic vision in high esteem. In addition, the players trust each other. Each player depends on others in his or her section, and in other sections, for melodic support. With trust as a cornerstone, the BSO’s success is not a reflection of individual expertise, but of genuine cooperation and teamwork. As an adult, I still cling to the idea that trust is a matter of life and death. My closest friends are the most trustworthy people I know and I love cultivating new friendships with people I believe I can trust. I’m truly grateful to spend a year performing with an orchestra that demonstrates this concept so beautifully through music. Because of trust, playing with the BSO is not a mere exercise in musical proficiency, but a joy! This is DeJoria’s personal mantra. A self-made billionaire and philanthropist, he has donated millions of dollars to fight hunger, develop community programs for inner city children, and provide resources for medical causes. Each word has meaning but together, the words create something so powerful: the guiding principle that our greatest success is not realized through accomplishments for personal gain, but rather, through the active use of our talents to make a difference in the lives of others. Success unshared is failure. I am reminded of this every time I open my case and see these four words on a little sign I posted inside. 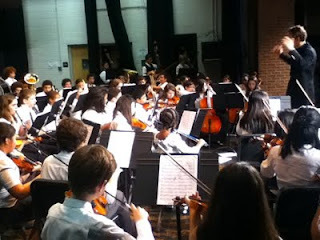 Having incorporated music outreach into my work for many years, I know programs like OrchKids make a big difference. I love performing and hope to develop a wonderful career as an artist, but I know my greatest achievement will be the impact I have on the lives of others. The students make my work truly meaningful and inspire me to make the most of my gifts and talents. It was a beautiful sunny morning in Baton Rouge. After a quick breakfast, I grabbed the few remaining items in my room and put them on the back seat of my car- my laptop, a few toiletries, and, of course, my violin. When I finished loading, I shared hugs and “goodbyes” with my family before getting in the car and turning the key in the ignition. I took a deep breath and said a prayer as I pulled out of the driveway. This was a big day for me. I was beginning a twenty-hour drive across the country to embark on the opportunity of a lifetime: to play with the Baltimore Symphony Orchestra as its first Fellow. A little over one month later, I took a deep breath as I pulled out of my driveway in Owings Mills. I was heading to my first rehearsal with the Baltimore Symphony. A million thoughts raced through my mind. Would I remember everything I practiced? Would I be able to follow the conductor? Would my sound blend with the orchestra? When I walked onto the Meyerhoff stage thirty minutes later, I was overcome with emotion. The hall is even more breathtaking from the stage than it is from the audience . . . the tiers of balcony cascading from the ceiling, the plush red velvet seats, and the beautiful wooden paneling onstage. I paused for a moment to enjoy everything my eyes could see. After tuning, we began rehearsing “The Golden Age of Black and White,” a program that featured classic tunes from the 1940’s and 1950’s with BSO SuperPops Conductor Jack Everly and vocalists Karen Murphy, Kristen Scott, and Chapter Six. When Maestro Everly began the rehearsal, I knew I would love performing this concert. His baton seemingly became a magic wand, transporting all of us to an age of black and white television, girl singers, doo-wop groups, swing and jazz tunes, and even early rock and roll. I was captured by the music- the nostalgia, passion, energy, and warmth infused in rich luxurious melodies. It reminded me of the music my grandmother played on the radio when I was young. 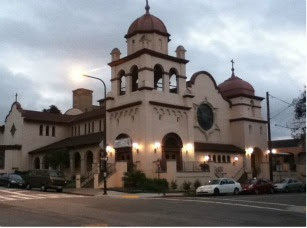 On the night of our debut performance, I arrived at the hall a few hours early. There was a buzz backstage as orchestra musicians, singers, stage technicians, and other staff members prepared for the performance. Although I didn’t feel nervous, I was very excited. I felt a swift rush of energy as Maestro Everly gave the opening downbeat. With the audience lights dimmed, the stage came to life. Lights, costumes, singers, and instrumentalists filled the stage with Maestro Everly at the center of it all waving his magic wand. By the time we played my favorite tune of the night, Mambo Italiano, we were in full swing! The energy was so contagious I wanted to get out of my seat and dance. 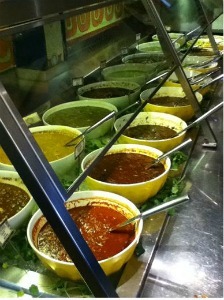 For a brief moment I imagined I was in a fiery red dress doing the mambo in the streets of Sorrento. A quick glance at the audience assured me that I was not the only one dreaming of dancing in Italy! During my drive home after the concert, I reflected on the evening. I thought about the sheer wonderment and joy of experiencing live music with everyone- musicians and audience members alike- and of indulging in an era in which I didn’t live but one that held special memories for so many concert goers. I also thought about how much my life had changed so much since I’d left Baton Rouge. . . there are new faces, new places and new friends. I sang bits and pieces of the music we’d performed as I got out of the car and opened the door to my home. 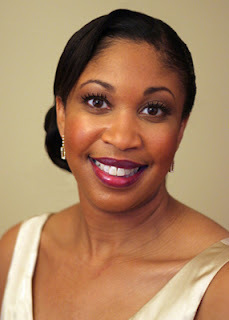 So far, I’m having the time of my life and I love every minute of being part of the Baltimore Symphony Orchestra! BALTIMORE — The judge’s assistant who practices her viola in a courthouse jury room. The retired neurosurgeon who once flew surveillance flights for the United States Navy and who took up the clarinet at 63. The accountant who began oboe lessons to connect with her severely disabled daughter. The Baltimore Symphony Orchestra brought together these musicians and others — a total of 104 amateurs of startling variety — last month for a weeklong fantasy camp of lessons, rehearsals, master classes and, finally, a concert at Joseph Meyerhoff Symphony Hall. It was a musically enthusiastic, even obsessive, bunch. Most spend countless hours a week practicing and playing in wind bands or community orchestras or chamber groups, in many cases more than one. It’s an older group. Many returned to music with fervor in retirement or in homes recently emptied of growing children. For some, music-making is the backbone of their social ties or an escape from the pressures of work. “It’s these kinds of people who guarantee the interest in classical music,” said Andrew Balio, the orchestra’s principal trumpeter. “They do everything in life well,” he said. 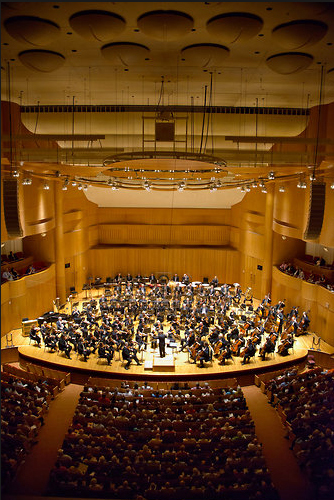 It’s also these kinds of people, the Baltimore Symphony hopes, who will buy more tickets and make more donations. Among the participants in what the symphony calls the BSO Academy were Deborah Edge of Washington, a double-bassist and retired internist who works part time for an organization that helps the homeless. She stopped playing in college, then resumed in 1986, after a 20-year lapse. Jane Hughes, an oboist who works for General Dynamics, and her husband, William Jokela, a bassoonist and former United States Army chaplain, of Annandale, Va., met in a community band, play in a trio and came to the academy for the first time last year to celebrate their 30th wedding anniversary. “This is our social life,” Mr. Jokela said. William G. Young, an actuary from Norwalk, Conn., who practices clarinet an hour every evening, arranged to be in a chamber group with his brother-in-law, Harry Kaplan, a bassoonist and internist from Towson, Md. A half-dozen enthusiastic members of their family descended on Baltimore to hear them perform. Matthew DeBeal of Laurel, Md., 25, one of the youngest players, spent his Saturdays as a youth studying violin at the preparatory division of the Peabody Institute, Baltimore’s conservatory, and now teaches string playing to middle schoolers in Howard County, Md. Mr. DeBeal, one of the more accomplished musicians among the participants, played solos in the academy’s final concert, on June 30. 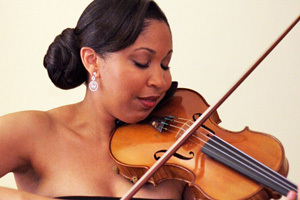 Ann Marie Cordial took up the viola just three and a half years ago. A judge’s assistant at the Baltimore County Circuit Court, she practices in a jury room across a corridor from a cell. “That’s part of your sentence,” she said. “You have to listen to me practice.” Her playing, she said, once helped bring a halt to a brawl that involved sheriff’s deputies and a defendant just sentenced to life in prison. The retired neurosurgeon and cold-war-era Navy pilot, Edward Layne, 78, of Cockeysville, Md., took up the clarinet 15 years ago. He called his first moments on the stage at last year’s academy “one of the signal minutes” of his life. “I looked around, and I couldn’t believe I was sitting there,” he said. 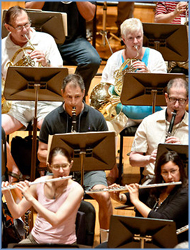 Barbara Bowen, an accountant from Reisterstown, Md., plays oboe in three community orchestras. 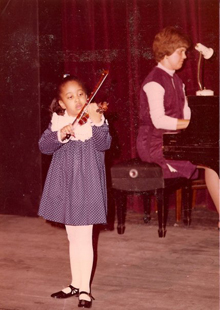 She started the instrument at 10, played through college, then took a 22-year break. For many of the first-time participants, the unusually demanding repertory, the high skill level of some fellow campers and the unforgiving standards of a professional orchestra came as a bit of a shock. Gradually, over the course of the week, confidence grew. Technique sharpened. Coherent musical lines emerged. The reality of it struck on Monday, June 25, when the campers gathered by instrument in rooms at the Baltimore School for the Arts for the first rehearsal before the Saturday concert, which featured works by Tchaikovsky, Elgar and Falla. Ms. Cooperman faced the extra challenge of a tremor from Parkinson’s disease, which causes her knee to shake. Horn players generally rest the instrument on the right thigh. Because of the tremor, Ms. Cooperman had to use an extra chair to support the instrument. The next day’s master class, in which the members of the section were to play for the orchestra’s principal horn player, Philip Munds, did not go much better for her. “It sounded like somebody was dying,” she said. “The more it came out bad, the more nervous I got.” Mr. Munds set her mind at ease and imparted a tip about hand position that brought immediate improvement. As the week went on, Ms. Cooperman’s confidence improved. She timed her medicines better, so they took maximum effect at rehearsals. Her performance went up a notch. On Saturday afternoon she took a long nap before the concert, then went over her parts mentally without playing them on her horn.